Li-f-e just got better. 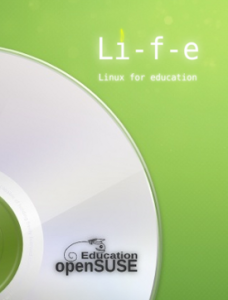 This update follows the release of openSUSE Edu Li-f-e 12.2 way back in September 2012, is made up of same packages but includes the updates available from official openSUSE and all the additional repositories such as Build Service Education, Packman etc. I would notice everybody which will install these software : you will install proprietary softwares on your computer. Nobody will be able to debug them, nor help you to resolve what can be happen. That must be said ! The real future is already in place : it’s called radeon (or free-radeon), it’s fully integrated in kernel & xorg. Actually ( for openSUSE 11.4, or openSUSE 11.3 with kernel-stable + X11 obs repo ). Support for many chipset is in real progress even for the 6xxx series. Give it a try before using the proprietary software, report any bugs you find with it. Only your contributions can help and will make a real differences. Thanks for doing that ! I offer for those of you that for any reasons can’t use successfully the free-radeon drivers a repository where you will find the latest fglrx/catalyst drivers following the packaging policy made avalaible by AMD. 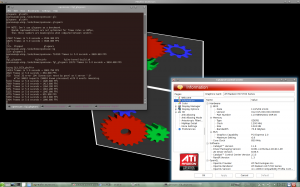 Thanks to Sebastian Siebert ( check his blog ) to work in coordination with ati/amd and follow the catalyst packaging. His work allow us to have that driver available for openSUSE. zypper ar -c -f -n "ATI/AMD fglrx non-official" http://linux.ioda.net/mirror/ati/openSUSE_Factory/ "ATI/AMD FGLRX"
zypper ar -c -f -n "ATI/AMD fglrx non-official" http://linux.ioda.net/mirror/ati/openSUSE_11.3/ "ATI/AMD FGLRX"
zypper ar -c -f -n "ATI/AMD fglrx non-official" http://linux.ioda.net/mirror/ati/openSUSE_11.2/ "ATI/AMD FGLRX"
Don’t panic you will be land to a console, open it with root account to install fglrx. So use that one. I’ve removed all non xpic drivers the 2 April 2011. During the installation process, all the dependencies will be added, which mostly are needed to build the kernel modules. Expect around 200MB to dowload. Then the installer will build the module for your installed kernel. All the rest of the setup (double screen etc) will be made lately with the ati catalyst control center (command is amdcccle). 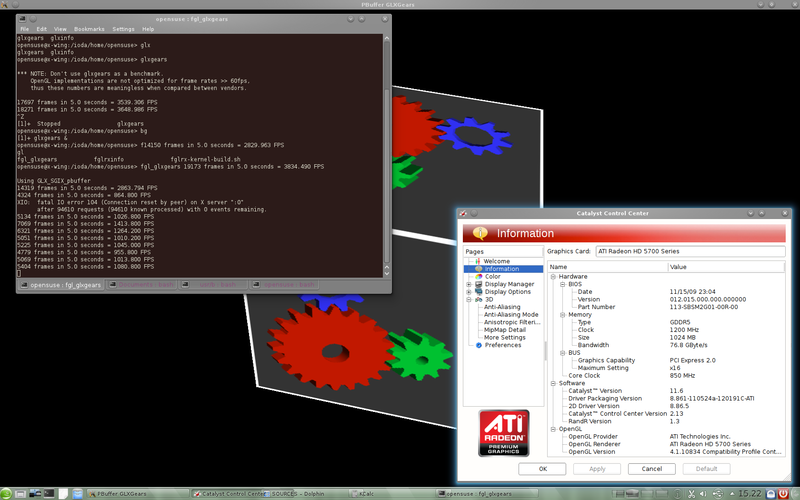 For those of you which want to have an xorg.conf file just have a look at aticonfig –help command. If you are inside the console we start to use before just run “init 5” to start xorg, and normally you will find your normal xorg login screen (kdm, gdm, ldm, xdm). Hit ctrl+alt+f1 to return to the console and type exit or logout or ctrl+d to close it. then ctrl+alt+f7 to return to the xorg session. ati/amd catalyst are release on a month basis, but this vary from 3 weeks to 8 weeks. Sebastian Siebert blog ( German ) with nice howto and problem resolution.